All German, Converted by Fleming Firearms, HK stamped G3, Registered Receiver in very nice overall condition. "IB" date code is present on the receiver, the forearm, A2 stock, the Barrel and charging handle. Comes with both A2 and A3 stocks. German bolt and Factory F/A carrier, bore is bright and clean. Magazine is stamped HK G3, In stock on a Form 3 ready to transfer. This is a registered receiver gun. 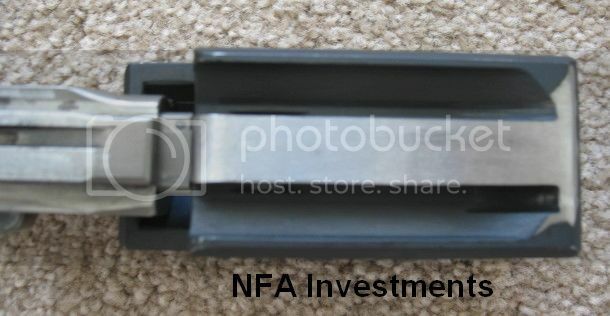 Dennis at NFA Investments FFL/SOT 503-348-3928 Portland, OR - $17,200 Plus $60 USPS Priority shipping. This is is a VERY Clean HK G3. This HK G3 is still available, great overall condition and the internals are super clean!